There was a great advertising campaign for this car, which was banned in Australia because it would encourage hooning. Especially inside buildings. With paint on giant canvasses on the floor... Shame we missed out. The current iteration of the Z4 was launched in 2009 and has seen slight updates along the way, predominantly giving more power and torque from the engine. Stylistically the model was a big advance. While it looks generally similar to the outgoing Z4, there was a new found aggressive, muscular and almost menacing look to the new model. To many, it's the most attractive styling of any current BMW - including to my eyes. In some ways echoing the long bonnet look with the cockpit set well back of the McLaren Mercedes SLR on a smaller scale, it really emphasises the where the powerplant is. 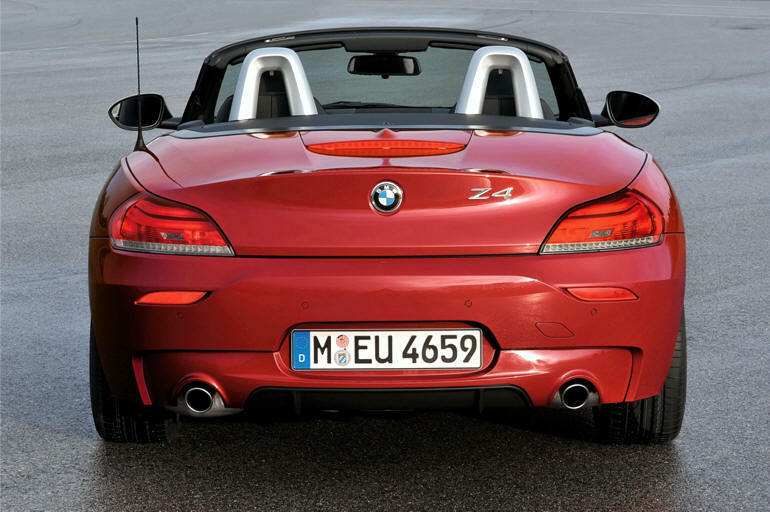 Long in the tooth it may be, but the Z4 remains an attractive car. Fortunately, the car lives up to its looks. Especially in the 35iS version tested. This is the 3-litre, twin-turbo 6-cylinder unit which has impressed so well in other models. It's a decently torquey unit, giving 450Nm from a low 1600rpm. And I think that's a part of the Z4s driving appeal. There's always plenty of performance available. Zero to 100km/h in 4.8 seconds is pretty good going for a car in its range. It wasn't that long ago that people were staggered by a 0-100 time of 5 seconds for a Porsche 930 Turbo. The exhaust note is worthy of acclaim too. It's got a deep burble, and a great crack at gearchanges. Roadholding, handling and braking all live up to the levels you'd expect and hope for in a performance car. There was no evidence of scuttle shake and the car always felt well planted on the road. The top spec model tested was loaded with all the goodies BMW could throw at it. Heated leather seats, adaptive headlights, heated windscreen washers, high beam assistance (which I didn't like), 18-inch alloy wheels, park assist, navigation system, and on and on. This car also featured the 7-speed double clutch automated manual gearbox. And it's among the better of these systems I've tested. 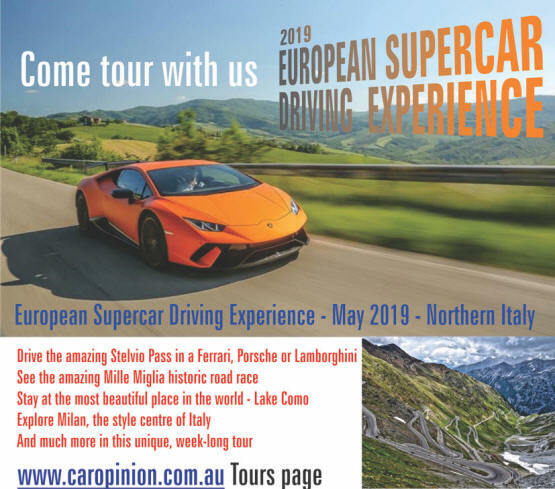 Gearshifts are as quick as you could hope for, the car blips the throttle appropriately in down-changes and when you're really pushing on, it performs beautifully. Equally, when left in automatic mode, it leaves nothing to be desired. The seats hug you very nicely, the driving position is adequately adjustable and the only complaint about the stylish interior is the lack of decent small item storage spaces - and that includes too-shallow cup holders. And of course, boot space is very restricted if you want to be able to lower the roof - but that goes with the territory. Another minor annoyance was the cold metallized plastic parts of the steering wheel spokes which the sides of your thumbs contact if you want to use the paddle shift. 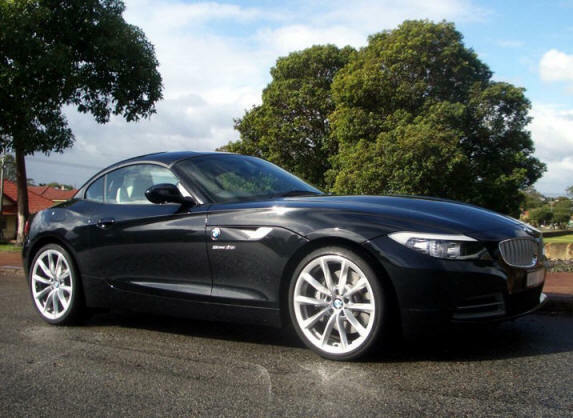 But these criticisms of this car are small compared to the truly excellent overall package that BMW has come up with in the Z4. This is a seriously good sports car which deserves to sell better than it does. 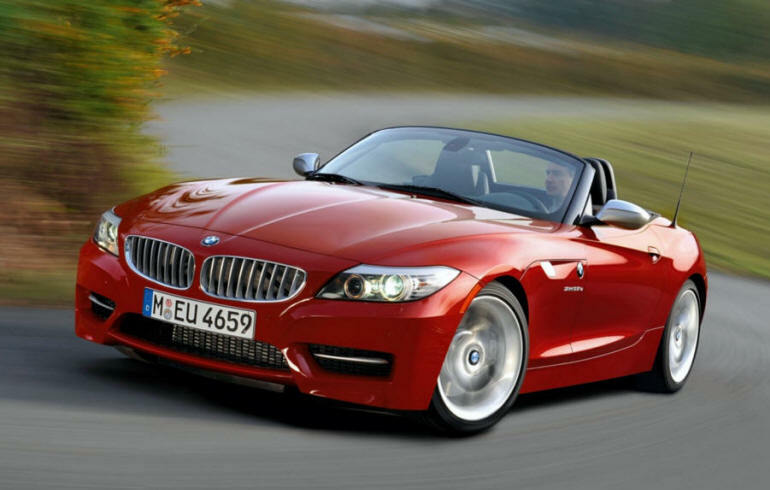 For some reason, sales of all Z4 models in Australia are a mere trickle.